Its 2019 Sharpbodies Personal Training with Tim Sharp Bodybuilding Champion, Celebrity Personal Trainer and TV Presenter. Tim Sharp as seen on The Active Channel, ITV2 and Dmax. 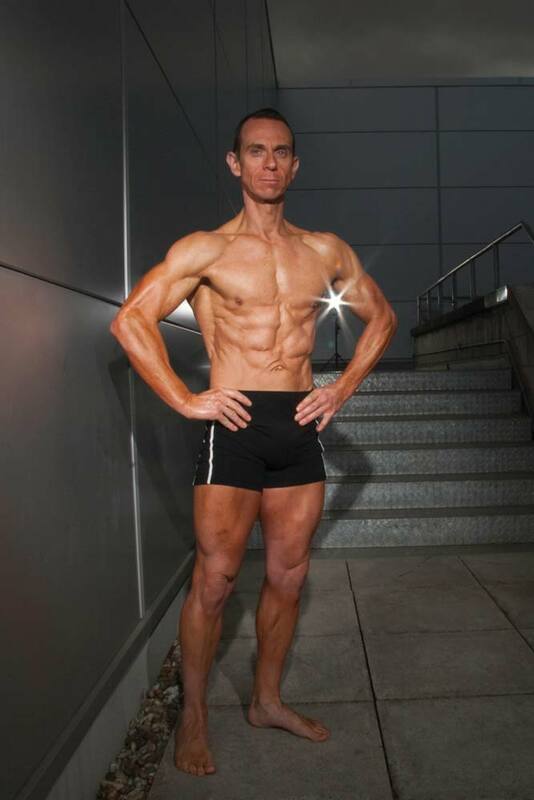 Tim Sharp is one of the most successful and sought after Personal Trainers in the UK. You could get an amazing body in weeks not months. Contact us now at tim@sharpbodies.co.uk or 07803 765369. Book now change your body and life. Sharpbodies Nutrition plan to make you feel and look great fast. If your confused about diet and just how to start this is your chance to get the ultimate diet plan that really works. Please email or call for full details and availability. Sharpbodies Nutrition, training and lifestyle consultation. Your 2 hour consultation will give you the nutrition and exercise plan to make you feel and look great fast. If your confused about diet and just how to start this is your chance to get the ultimate diet and exercise plan that really works. Just ask my celebrity clients! 4 Appointments - £300.00 The Ultimate 4 Week Lean Body Training. The best, quickest and ultimate way to full body transformation. Includes 4 appointments over 4 weeks 1-2-1 with Tim Sharp. NPD Nutrition included for incredible results. You will look incredible with a beautiful bikini body ready for the stage or beach! Can be taken over longer period if required. 8 Appointments - £600.00. The Ultimate 8 Week Lean Body Training. The best, quickest and ultimate way to full body transformation. Includes 8 appointments over 8 weeks 1-2-1 with Tim Sharp. NPD Nutrition included for incredible results. You will look incredible with a beautiful bikini body ready for the stage or beach! Can be taken over longer period if required. 12 Appointments - £900.00. The Ultimate 12 Week Bikini Body Training. The best, quickest and ultimate way to full body transformation. Includes 12 appointments over 12 weeks 1-2-1 with Tim Sharp. NPD Nutrition included for incredible results. You will look incredible with a beautiful bikini body ready for the stage or beach! Can be taken over longer period if required. 20 Appointments - £1400.00. The Ultimate 20 Week Lean Body Training. The best, quickest and ultimate way to full body transformation. Includes 20 appointments 1-2-1 with Tim Sharp. NPD Nutrition included for incredible results. You will look incredible with a beautiful bikini body ready for the stage or beach! Can be taken over longer period if required. Please email or call 07803 765369 for full details and availability. Men Bodybuilding and Women's Bikini, Figure and Physique Contest Coaching. Posing plus Contest Nutrition. Get the posing and nutrition to be the best you can be at your show. I have trained the countries top women's figure bikini and physique stars. Learn my own vast knowledge and 100's of Champions who have won under my coaching. Your 2 hour consultation will give you the posing and nutrition plan to realise your contest potential. If you are suffering from sciatica or soft tissue injury to your back, shoulder, knee or elbow Sharpbodies can rehabilitate bring you back to full health in weeks. Sports massage therapy with my follow up rehab exercise programmes are the quickest way to get you back on your feet again fast. Competition preparation diet, training and posing. Progressive Exercise and fitness program's. Appointments cannot be made without pre-payment first only then will the appointment be booked and confirmed. You must give 24 hours notiyce if you need to cancel. A full 1 hour fee cancellation charge will be made if you fail to give me 24 hours notice. All appointments must be prepaid to confirm booking only then will an appointment be made. Once booked, 24 hours notice must be given if you wish to cancel. All appointments are 55 minutes. All Block bookings have a 6 month expiry time. THERE ARE STRICTLY NO REFUNDS AFTER PAYMENT IS MADE FOR ALL BLOCK BOOKINGS IN ANY CIRCUMSTANCE. If an appointment is cancelled without 24 hours notice and you refuse to pay Sharpbodies the cancellation fee and adhere to term No.2, I reserve the right to terminate my services immediately. Tim Sharp has trained over 5,000 clients over the last 30 years as a Personal Trainer. Tim has helped Celebrities, National Athletes, British and World Champion Bodybuilders and International athletes achieve their goals. Sharpbodies Personal training is a bespoke personalised exclusive fitness experience for you to realise your true potential. Over 30 years Tim Sharp has transformed thousands of clients and helped them achieved their goals in weeks or months. You can see these amazing clients on my Active Channel TV shows on YouTube or watch the Tim Sharp YouTube channel. Tim Sharp MA PT Dip. Call us now on 07803 765369 we'll help you achieve you goal. 2019 prices page, Sharp Bodies Private Personal Training for prople living in Barking. bodybuilding and personal training services. If you seriously want to improve your physique and live in the Barking area, talk to Tim Sharp about how you can improve your diet and exercise regimen, to really make the most of your body's potential. Tim's methods are proven to help you reduce fat and increase muscle dramatically in the shortest possible time. Celebrities like Jodie Marsh trust Tim with their personal training routines when time is at a premium so they need to get the maximum return on investment of hours spent in the gym. Tim works in at the exclusive Sharpbodies private PT Rehab Studio, Tim has clients who travel from all over the UK and Europe to train with him and follow his training and diet routines, Barking is not that far away from his Brentwood Studio so to make the most of your training and diet plans, call Tim on 07803 765369, or click in the header of any page to email us for more details. For people interested in 2019 prices in Barking.